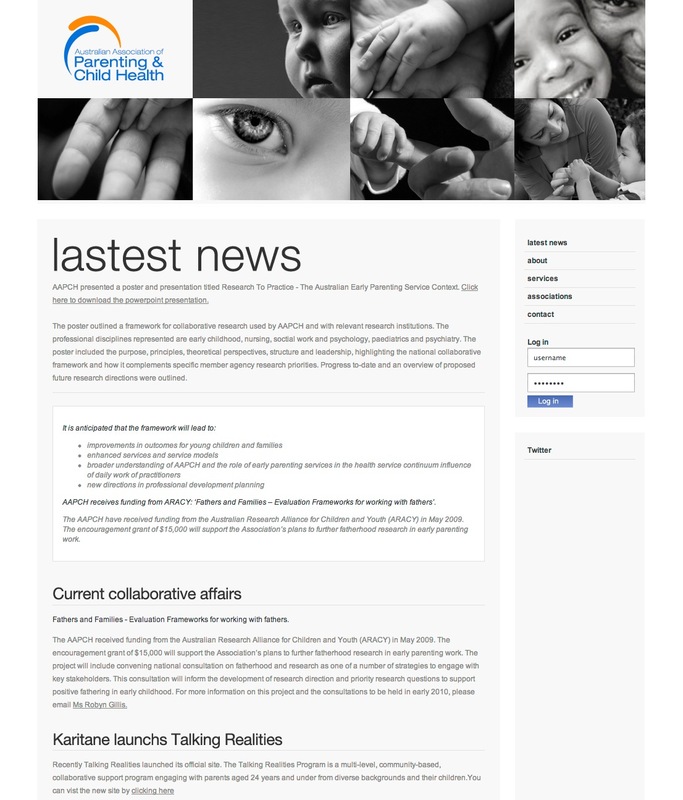 The Australian Association of Parenting and Child Health needed a site developed before the inaugural meeting involving all the associations. The only requist was that the site needed to have a secure section for members to access reports for the meeting. We created AAPCH’s site to land on the lastest news section, showing all the exciting things happening for all the associations. We created a log in system for members to access documents. We also pushed AAPCH’s digital presence by creating a Twitter profile. We then integrated this into their homepage, with the live feed showing instant updates and news.